Distinguishing Characteristics Caucasian female. Darleen's maiden name is Boyd. Some agencies spell her first name "Darlene." 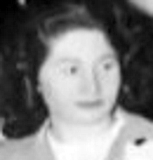 Darleen was last seen at her home in the 600 block of east Pleasant View Drive on the night of January 19, 1960. At midnight her husband, Alanson "Lance" Malcolm Fitchett Jr., told the couple's two oldest children, who were eight and six years old at the time, that their mother had left. He got them and their baby sister up to take them to his sister's home in Adel, Iowa so she could care for them. Darleen has never been seen again. She left behind all her belongings, but the bedding and curtains from her bedroom also disappeared the same night she did. The day after Darleen vanished, Lance traded in his dark green panel truck for a new van. He never reported his wife missing; concerned friends and neighbors told police about her disappearance. On February 8, 1960, when law enforcement asked him where Darleen was, he said she had left him for another man and gone to California. At the time of Darleen's disappearance, Lance was having an extramarital affair with Colleen Seiberling. Seiberling moved in to the home shortly after Darleen vanished. 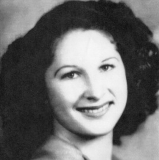 In June 1960, just as Lance and Seiberling were about to move to California with the three children, Darleen's mother confronted the family and demanded to know what had happened to Darleen. Lance's sister told her Darleen had simply "left." Lance and Darleen's eight-year-old daughter told her grandmother about the events of January 19. Lance gave written permission for Darleen's parents in Dexter, Iowa to raise the children. Although Darleen's body has never been found, police are investigating her case as an unsolved homicide. In June 2014, they dug up the basement of the family's former home on east Pleasant View Drive; ground-penetrating radar showed that someone had dug a hole under the concrete approximately five feet by two feet, about the right size for a grave. Authorities believe Darleen's body was initially buried there and the grave covered over with cement, but their search of the basement turned up nothing; they think her remains were moved somewhere else after the initial burial. Lance is the primary suspect in Darleen's presumed murder, but he died in 2005. Authorities would still like to find Darleen's remains for the sake of her family. Updated 1 time since October 12, 2004. Last updated July 20, 2015; casefile added.